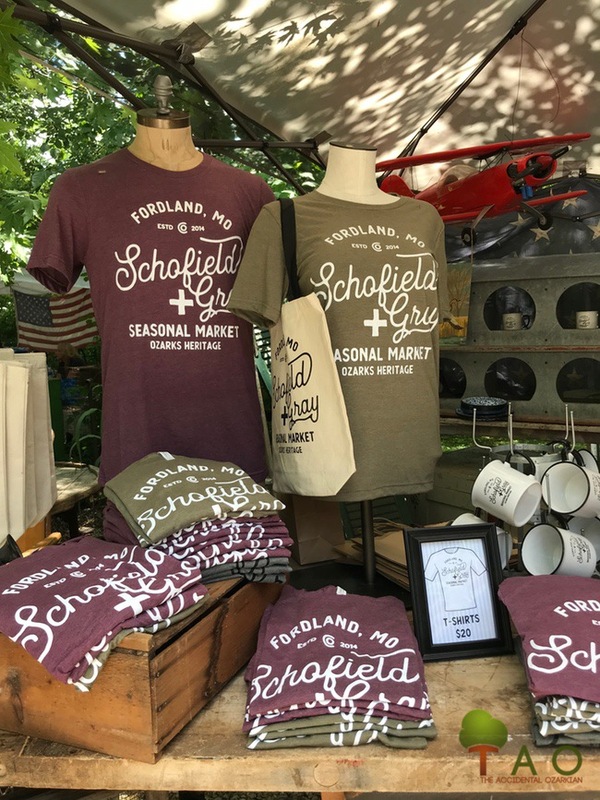 Recently, I had the good opportunity to attend the Schofield+Gray Seasonal Market. What is this thing, you may ask? 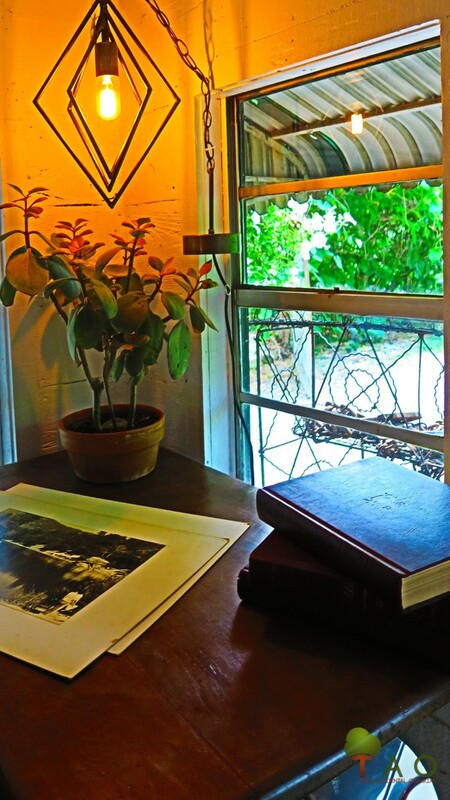 According to its Facebook page, “Schofield+Gray is a seasonal market full of furniture, antiques, vintage finds, great people, beautiful scenery, live music, and more.” Much more, I’d say, and it has to be felt, not read about, not imagined. The folks are friendly, the prices seemed more than reasonable and overall, the experience is most definitely one that I want to recreate. 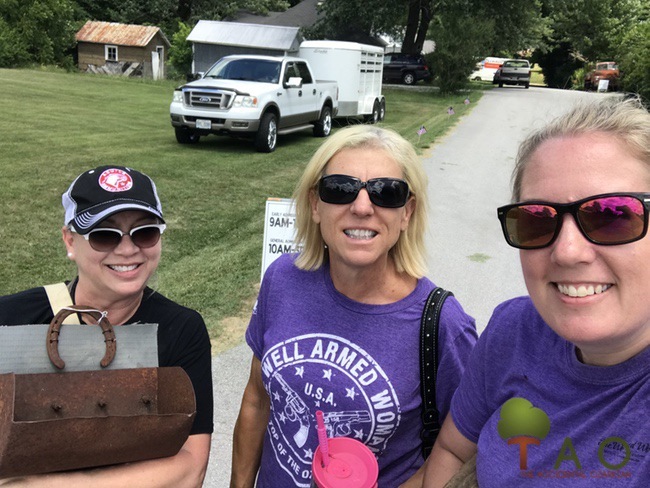 Here are a few photos from the outing. As always, a picture will tell a lot more than words. 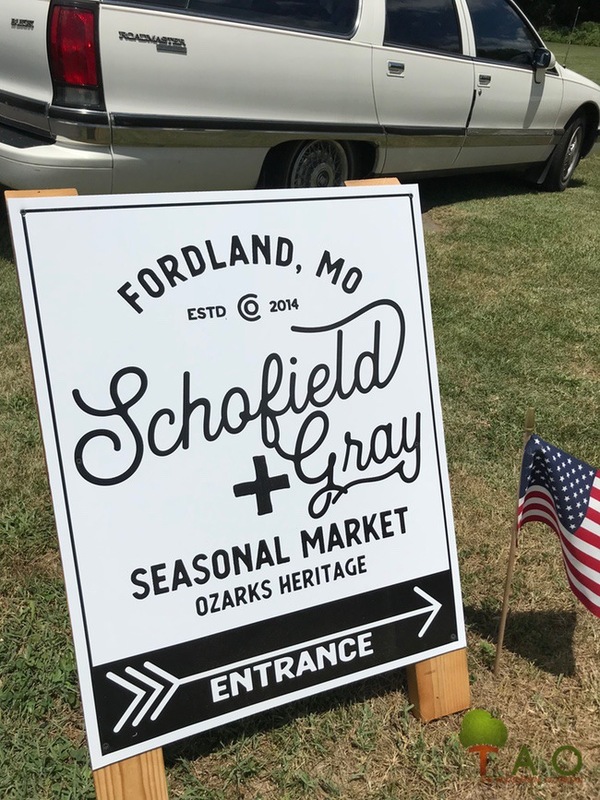 Schofield+Gray is located in the heart of Fordland, Missouri, which appears to be in the heart of Amish country. It makes for an interesting day trip. 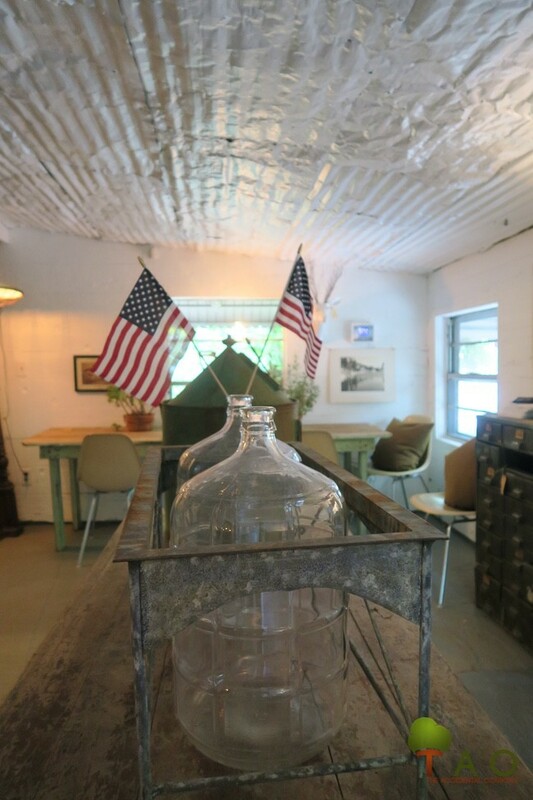 There are some other antiques stores in the area, too, in case you want to make a full day. Even the logo wear is styling here at this location. I wanted to buy one of each … but saved my money for … you’ll see. Everything in this room is for sale. It’s like being at an estate sale, and there’s no pressure to buy. I love the attention to detail. 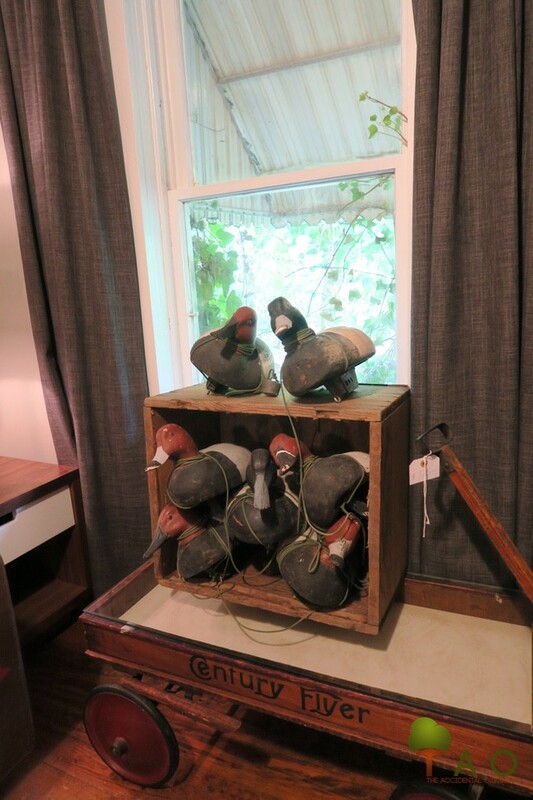 Check out these old duck decoys. I told my friends, Stacey and Stacy, that places like this make me want to add on to my house. 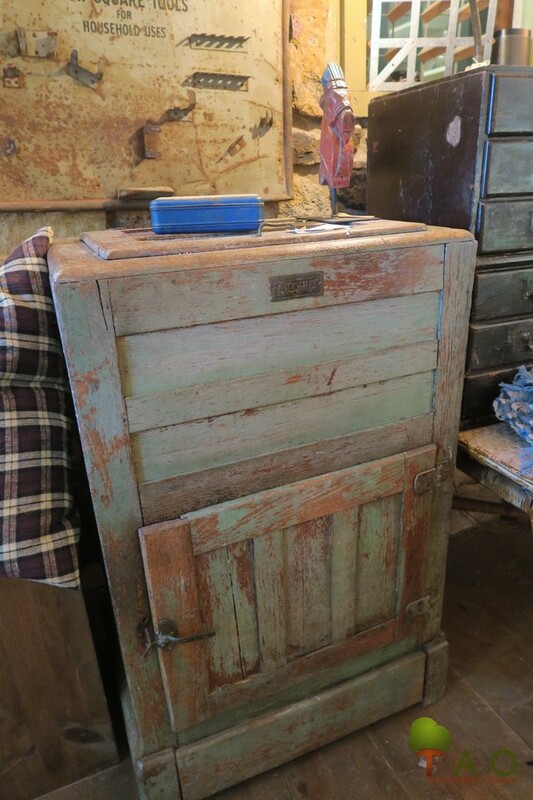 Check out this gorgeous old icebox. I wish I had a place for it in my home. The stories it could tell. I think it was about $400, and frankly, that’s a deal for a piece of history such as this one. 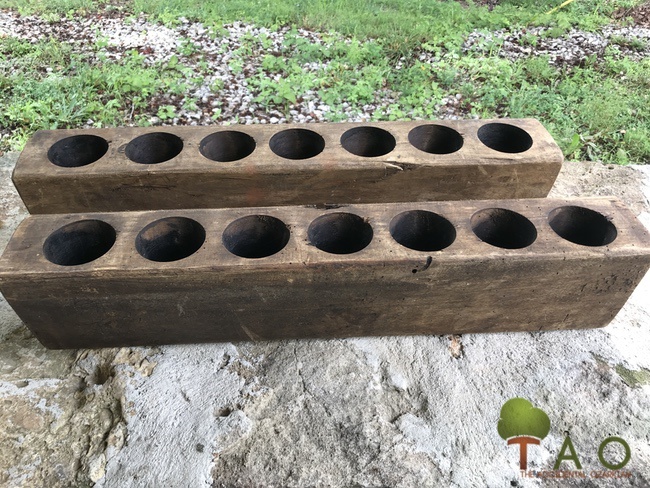 Someone had been oh-so-busy with a welder, metal and old water pipes. Several unique light fixtures graced a little house full of furniture and decor. 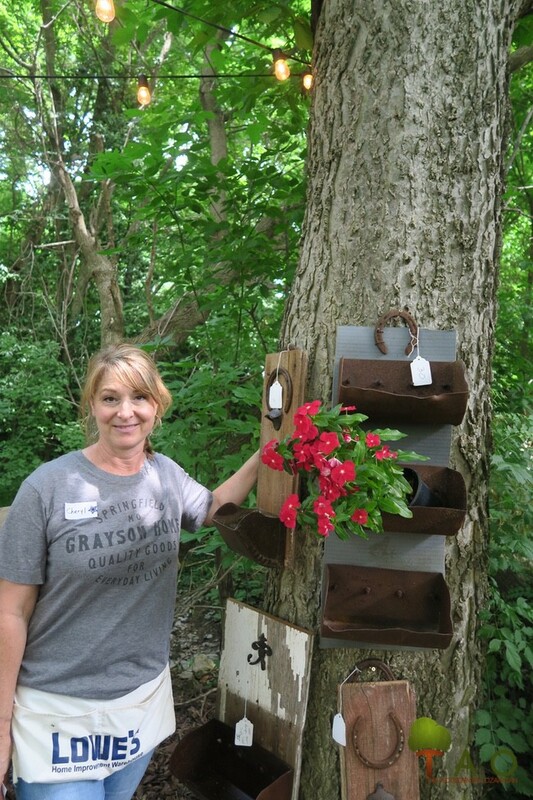 The next seasonal market will be held on Sat., Sept. 22. The last one for 2018 will take place, and feature a Christmas theme, on Nov. 10. We bid adieu to Stacy and then, Stacey and I realized we hadn’t eaten lunch … at about 3ish in the afternoon. So, we headed over to Seymour and to Uncle Rooster’s … the home of amazing, fresh-fried chicken. “It’ll take 15 minutes to make it,” warned the waitress, when we ordered 2-piece dinners of all-white meat, mashed potatoes, gravy and green beans. 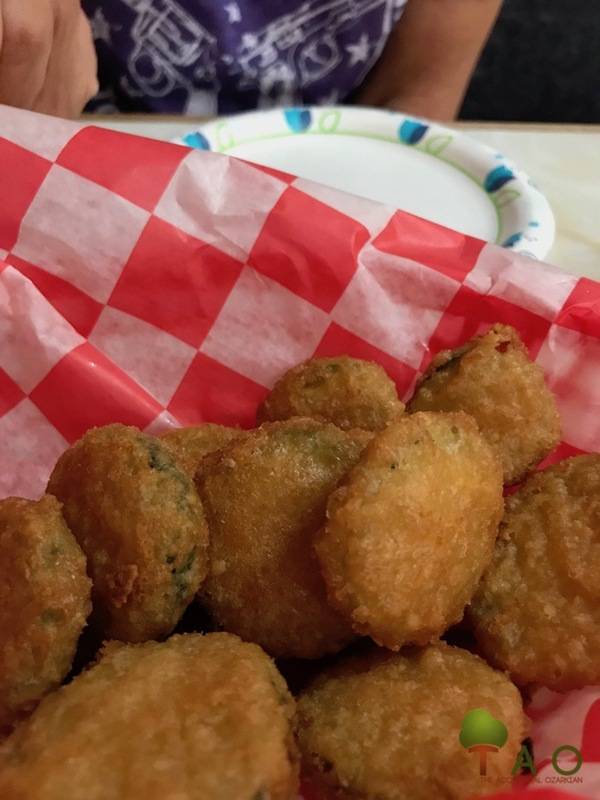 Oh, and also, we splurged on an appetizer of fried zucchini. I think we were a “quart low” of oil yesterday, or something. 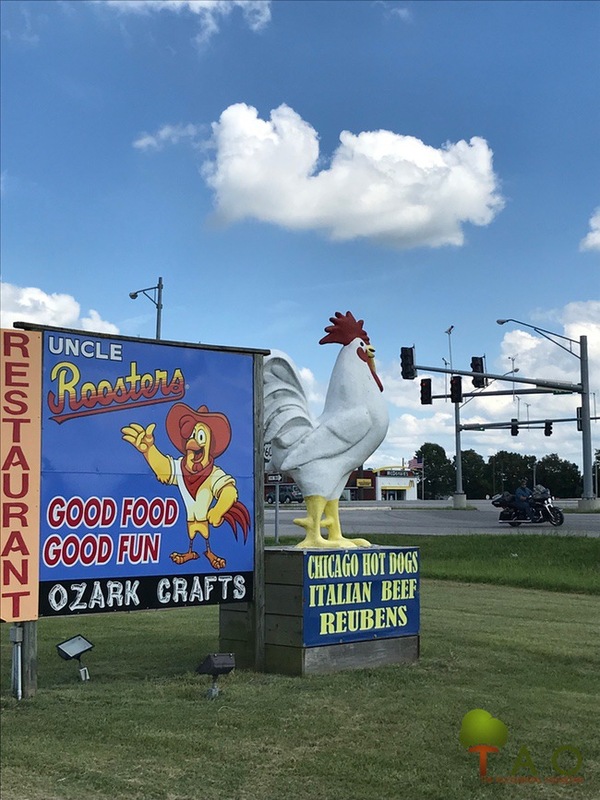 As the big sign with the chicken states, you can also order Chicago hot dogs, Italian beef and Reubens at this diner on Highway 60. 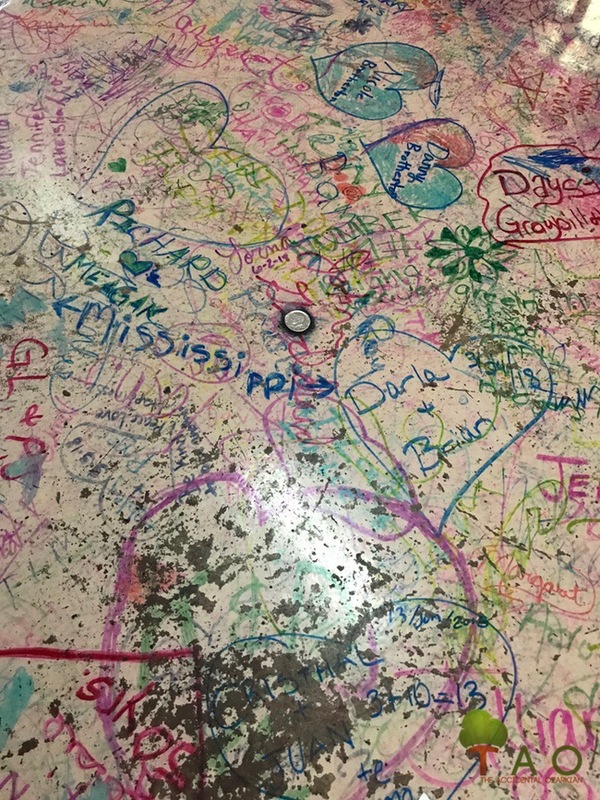 The floor has been signed by thousands of customers. When we arrived in Seymour, we noticed a string of Jeeps leaving a local car show. 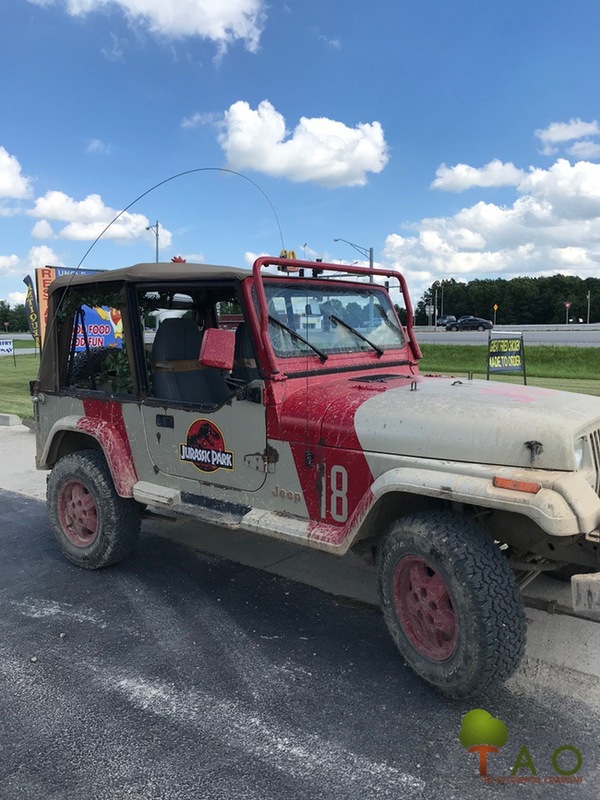 Lo and behold, the Jurassic Jeeps — custom Jeep Wranglers — were in town and guess where they ate their late lunch or early dinner?